The stupendous Lisa Vanderpump and Ken Todd truly make one amazing power couple who has and continues to make a great impact in the lives of many. Restauranteur, television personality, actress, author and philanthropist – there seriously isn’t anything that the brilliant Lisa Vanderpump can’t do. We all love watching the phenomenal Lisa Vanderpump in the fan-favorite, binge-worthy show, Real Housewives of Beverly Hills. Vanderpump always brings so much excitement and entertainment onto our TV screens. Not only is the sensational Lisa Vanderpump seen in Real Housewives of Beverly Hills, but we get a double dose of Vanderpump in the award-winning, hit show, Vanderpump Rules. It goes without saying that everyone is obsessed with this show and how could we not be?! It’s juicy and filled with tons of drama and we’re definitely hooked onto this awesome series. To add onto her incredibly busy schedule, the marvelous Lisa Vanderpump is also known for being the genius behind some of the most happening restaurants in Los Angeles including SUR, PUMP and Villa Blanca as well as her latest bar and restaurant in West Hollywood called Tom Tom, created in partnership with Vanderpump Rules stars Tom Schwartz and Tom Sandoval and her husband, Ken Todd. Now, Lisa Vanderpump is bringing her swanky and luxurious restaurant style to Las Vegas with the grand opening of her Vanderpump Cocktail Garden at Caesars Palace, which is set to open in early 2019. 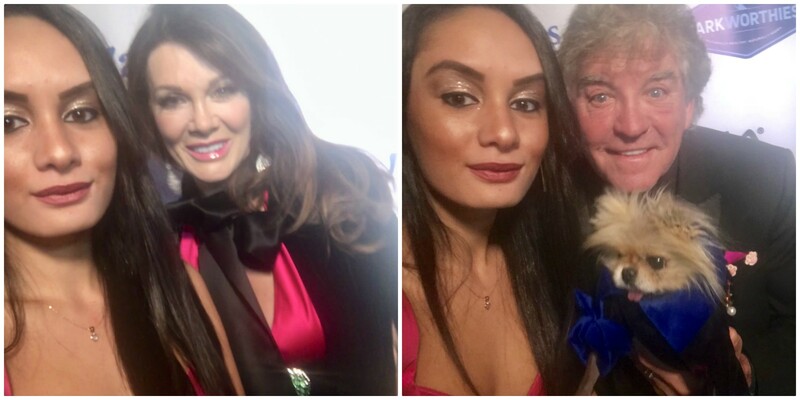 I, Alexisjoyvipaccess had a remarkable time covering the 3rd Annual Vanderpump Dog Foundation Gala and had a fantastic time interviewing the ravishing Lisa Vanderpump and Ken Todd at the event. Lisa Vanderpump and Ken Todd talked exclusively with Alexisjoyvipaccess all about what they think Giggy would say to them if he could talk for a day and how proceeds from the event will be donated to animals who were affected by the California fires. Hear what the amazing Lisa Vanderpump and Ken Todd had to say in our VIPAccessEXCLUSIVE interviews below. Thanks for the outstanding interviews, Lisa Vanderpump and Ken Todd! Check out my VIPAccessEXCLUSIVE interviews with the extraordinary Lisa Vanderpump and Ken Todd at the 3rd Annual Vanderpump Dog Foundation Gala below! Previous VIPAccessEXCLUSIVE: Tom Schwartz Interview With Alexisjoyvipaccess At The 3rd Annual Vanderpump Dog Foundation Gala! Next VIPAccessEXCLUSIVE: Jacob Hopkins Interview With Alexisjoyvipaccess At The 2018 UCLA Mattel Children’s Hospital Party On The Pier! Enjoyed your Very interesting article about about the annual Vanderpump Dog Foundation spearheaded by these wonderful Vanderpump couple.